Dr. Kevin Riché specializes in orthopaedic trauma and fracture care, pelvic surgery, and hip and knee replacement. He received his orthopaedic surgery training at LSU School of Medicine, and completed a fellowship in orthopaedic trauma and pelvic surgery at Harvard School of Medicine. He also has over 12 years of experience in private practice. Born and raised in Baton Rouge, Dr. Riché is happy to give back to his community, helping patients with hip and knee pain return to their normal activities. Dr. Riché, along with his expert staff, are happy to answer any questions you may have during treatment or recovery. If you have any questions or would like to schedule an appointment, please call our office at (225) 408-7939 or use our convenient appointment request form, and our staff will reach out to you to schedule an appointment. Hip replacement surgery can be a great option for patients with hip arthritis who have not found relief with nonsurgical treatment. Dr. Riché utilizes the direct anterior approach for the majority of primary hip replacement patients, as this approach is minimally invasive and allows for a much easier recovery. Direct anterior hip replacement surgery allows for less muscle damage, reduced scarring, and less pain after surgery. Knee replacement surgery can restore mobility for patients whose knee arthritis pain has not improved with nonsurgical treatment. Dr. Riché is among only a few surgeons in the Baton Rouge area who use Conformis knee implants for knee replacement surgery, which are custom- fitted to the patient’s unique anatomy. This allows for more accurate implant placement and fit, which allow for better knee function and patient satisfaction when compared to standard, off-the- shelf knee implants. If arthritis or dysfunction of the sacroiliac (SI) joint causes significant pain in the lower back, hip, or pelvis, SI joint fusion may be an effective option in relieving pain. Prior to recommending surgery, Dr. Riché always sends patients for testing to confirm the source of pain, as several conditions can cause similar symptoms. 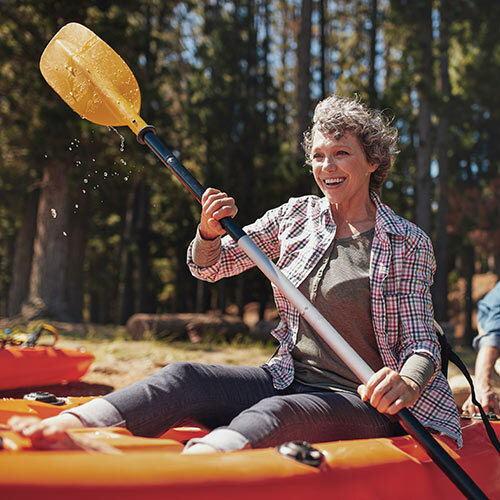 If the SI joint is the source of pain, Dr. Riché uses minimally invasive techniques for SI joint fusion to make recovery easier on patients and reduce the risk of postoperative complications.